The only thing worse than losing your life for love...is having it hunt you down. 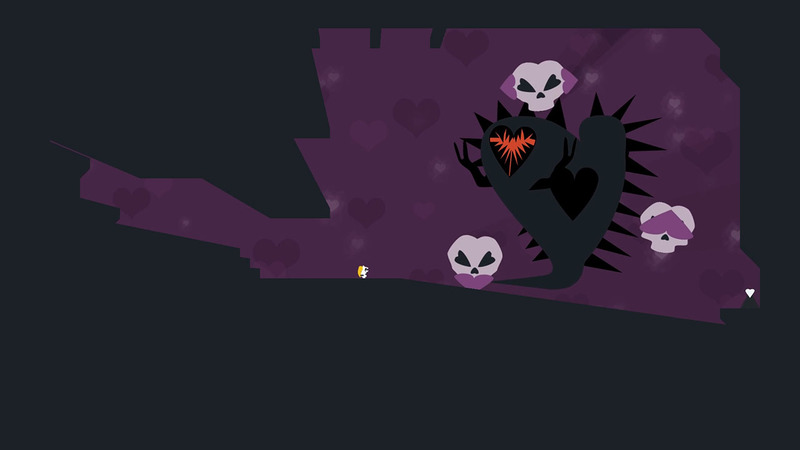 Philophobia is a game where love is literal Hell and all of the enemies are hearts. In this fast-paced action platformer, navigate the bowels of Hell and escape the torment of love. Because it WANTS you to suffer. "An amazingly hellish platformer, with puzzle-precision platforming difficulty, and an atmosphere that truly is deserving of the title 'Hell'." 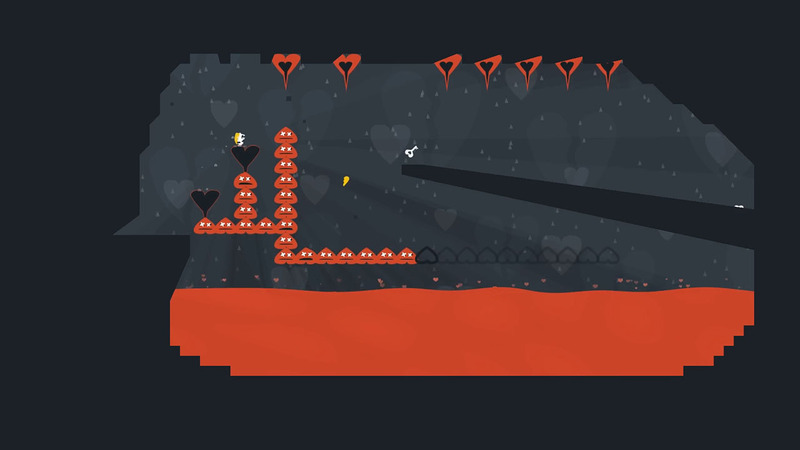 "A truly incredible, heart-felt game based on one man's breakup... push your skills to the limit in this hellish journey across the five realms of misery!" 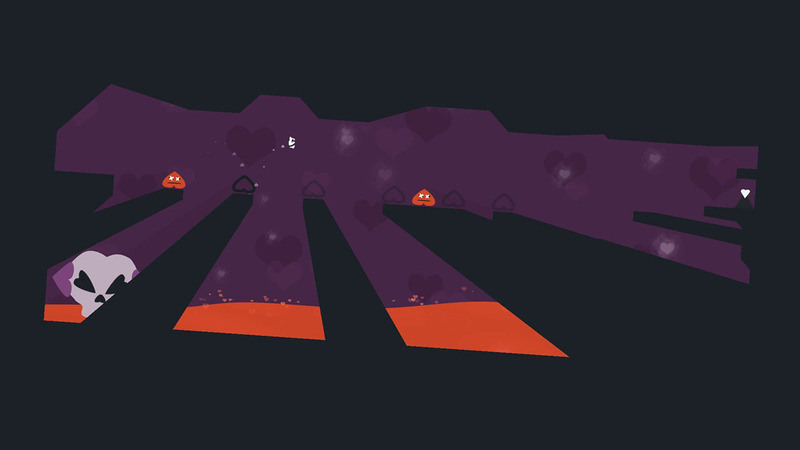 "An intense platformer on the surface, but a deeply emotional tale within its core." Mac + Linux Builds Now Available! Patch 1.0.3 | Bug Fixes, Full Screen, & More! Here is a link to a one minute review that I did for this game! Would appreciate it if you checked it out and let me know what you all thought, too! Hopefully this will help those who are unsure about whether to buy the game or not. Great game. Very good design of puzzles and snappy platforming. Graphics could be more polished but it doesnt ruin the whole atmosphere. How about sequel? I followed Tim for a longer time now and occasionally tuned in for his dev streams on the game. 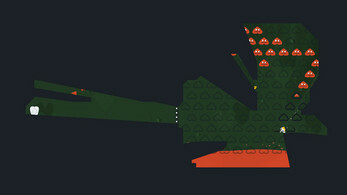 However, at that time I couldn't envision the game as finished product yet. After completing it, I can say that I am very positively surprised about the outcome. 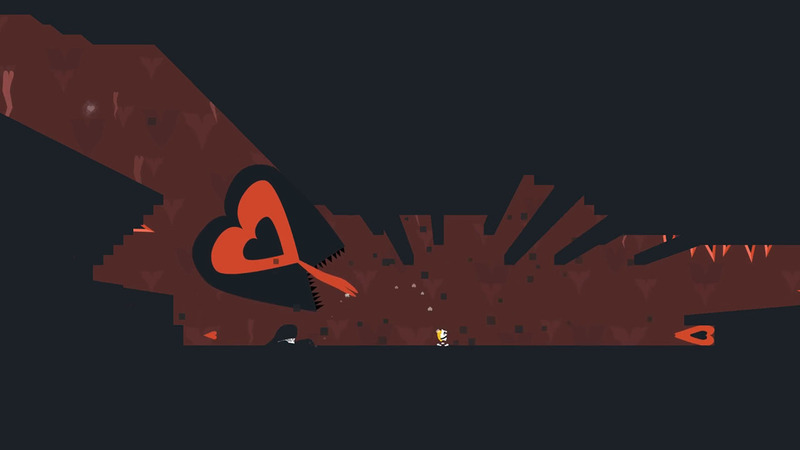 Inspired by a breakup and one of the darkest times in the life of the developer, this game represents a 4 year long jouney about how to cope with your feelings after you figuratively got your heart ripped out by someone. This process is well reflected in the small cutscenes and the overarching theme of the game. You will accompany the main character stuart out of his deep dark prison inside himself and hopefully manage to find a way out while dealing with the 5 stages of grieving: denial, anger, bargaining, depression and acceptance. Mechanically, the game is a precision platformer with the objective of getting to the portal of each level. Portals mark the end of the current level. In later stages, you are required to collect a key to activate said portals. There are a handful mechanics you would expect from a platormer, some of which you will acquire in later sections of the game. Aside from the regular platforming levels where you have to solve puzzles and avoid fierce enemies and traps, there are some really fun and challenging bossfights. Make no mistake, this game is hard - it is not a surprise if you die 50+ times in certain levels - but it is well worth the experience. Despite being hard, the game never feels unfair. The levels play out in a consistent manner, so the only failing factor are the inputs of the player. This is true for the most part, because if you have a weak PC and can't consistently reach 60fps, the player movement will be your enemy too. More about it in the next section. The game does a good job of introducing you to new mechanics and completing levels and the bosses is a really satisfying feeling. The game can either be played on the keyboard, which works well, or on an Xbox 360 controller (my preferred solution). At the time of writing, inputs cannot be remapped yet and the only controller that is officially supported is the Xbox 360 controller. The inputs feel responsive and precise enough if you can keep a consistent frame rate of 60fps. Do you have a mid to high range PC? Then you can skip this section and the inputs will work well for you. Should you have a weak PC and cannot reach this target framerate (on game version 1.0.1) you will face inconsistent movmeent behaviour for jumping heights and dash lengths. I wasn't too bothered by the dash length variations, but in my opinion, the varying jump height can be game breaking in rare instances. While trying to record the game (and sometimes even when I didn't record) frame drops would cause me to have a decreased jumping height I would otherwise have with the conistent 60fps, leading to the behaviour that for some jumps, I would have to try 20 times to gain a height which allows me to reach a platform above me that is mendatory for progressing. This also led me to complete one level in a way it was not intended to be completed, because the intended path wasn't possible for me. One very small annoyance was that the trigger threshold for the controller is really low, which would cause me to sometimes perform the actions for the triggers while pressing the bumper above. 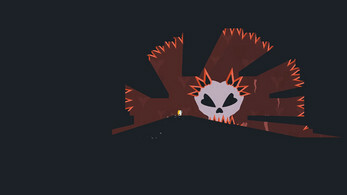 When you start the game, you have a minimalistic menu with options and the possibility to start a game or to continue, along with other smaller menu sections. The menu art and UI looks appealing. In the main game itself, you will encounter a story presented with some smaller cutscenes with minimalistic animations and voice over, aside from that, it is mostly the core gameplay, which looks and sounds great. The sound design is well done in my opinion and the choice of music is an excellent match for the atmosphere the game tries to paint. The art is minimalistic for the most part, but very charming. 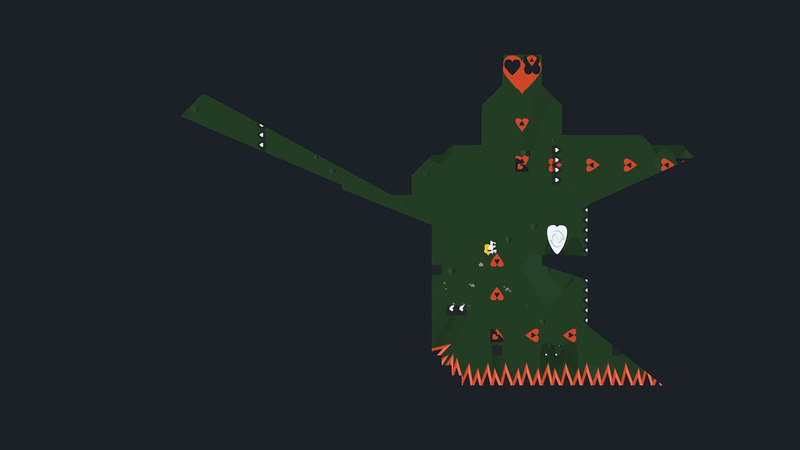 Most objects in the game are either hearts or consist of heart shapes. In addition, the color palette chosen for the game is fantastic and the contrasts of different elments also helps to clearly recognize what is going on on screen at any time. The only times when this is an issue is when it was intended (such as lingering enemies). The animations are rather minimalistic too and feel clunky at some parts, especially for some of the boss fights, but that did not deduct anything from the feeling of immersion the game exhibits. - inconsistencies when you are not able to get stable 60fps (this affects jump heights and dash lengths, at least in the version 1.0.1 I have played) - which in the worst cases can lead to game breaking behaviour: e.g. 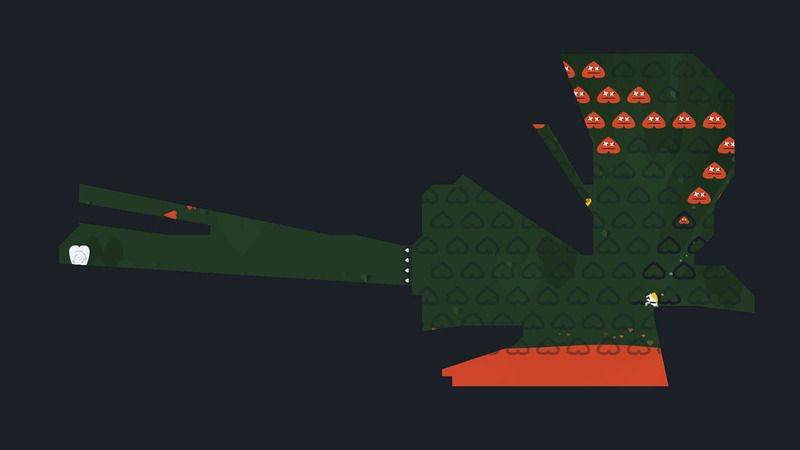 you can't reach a certain platform because your jump height is not strong enough. I had some issues with it, but it wasn't breaking for me, and it could be that at the time of writing, this has already been fixed. In summary, I can recommend the game if you like platformers and have a capable PC, it is a lot of fun and a real challenge. There are small issues with the game, but it is well worth the money. Congrats Tim!!! Can't wait to play!!! Hey hey frontpage! Good job! Howdy! Amazing game that's worth way more than the $10 (launch price). It has fantastic atmosphere and polish, the platforming is top quality, controls are tight, and level design is great. I highly recommend it. Congrats on the release, Tim. It's done, I bought it !! It's an awesome game! I only played up to first boss so far but I love the atmosphere of the game. I like the color pallette and the music and sounds. I like how your voice adds to the atmosphere as well. 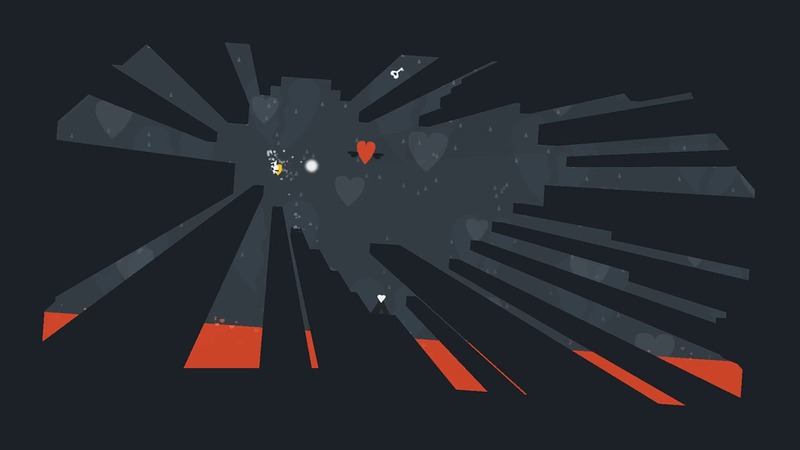 The game feels very claustrophobic with the moving shadows and it does make you feel uncomfortable and I think it suits the theme of fear of love. I've been watching your videos for couple of months now and I can't imagine how you feel with so many years put into this project and seeing it finally released. Congratulations on the release, Tim! Congrats on the release and getting featured Tim! Seriously, if u scroll down to see if it worth the 10$, u can scroll back up. its worth way more. get it before the dev realize what a huge mistake it was to price it so low. Is there gonna be a mac version of this game? He was testing Mac and Linux builds so hopefully :) I think he's possibly just postponing that until all the serious bugs people find are out of the way so he doesn't have to keep building it. Yes, coming soon. I have them working I just dont have a ton of testers. Sorry about that!!! Build was only up for a bit.